FD-RIO is a component of the Zucchetti Axess modular security systems. 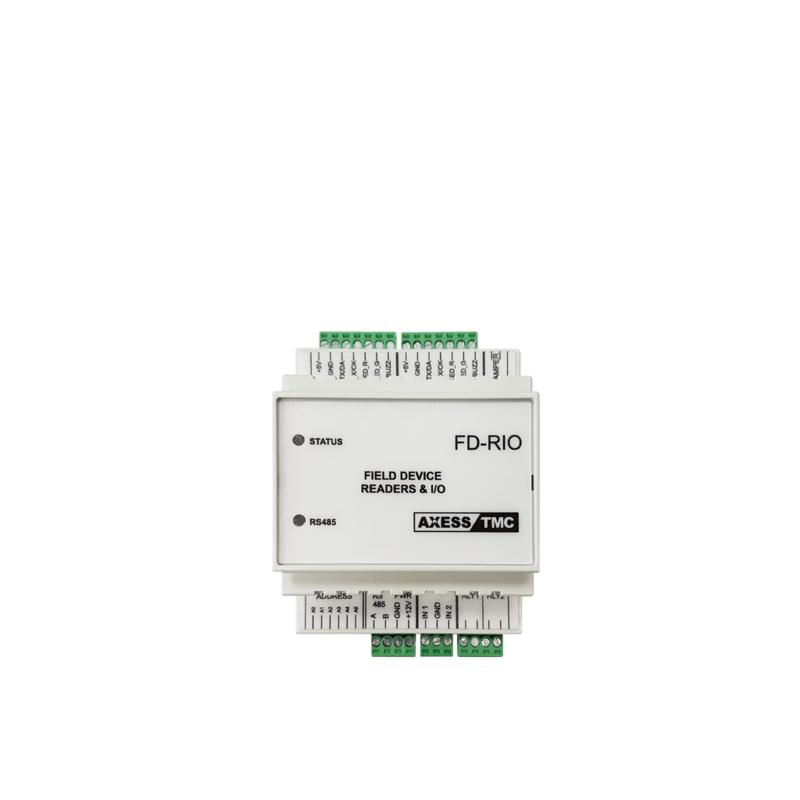 FD RIO provides 2 Relays, 2 Inputs, 2 ports for readers and on-board BLE module.It is connected via RS485 bus with SPP protocol. It can be managed directly by XAtlas or operate as a terminal or controller expansion module. It enables readers and I/O to be remotely controlled where they are needed (next to the access point) and installed in a protected area. The terminals and controllers can expand connecting optional modules to the RS485 port: I/O boards, pinpads, readers (RFID, Biometric, Bluetooth…). Thanks to the expansion modules, a single device (terminal or controller) can manage multiple access points. Additionally, expansion modules can be placed where they are needed (I/O boards in non-vandalizable areas and readers next to the access point). Versatile reader connection at the two available ports (Wiegand, TTL/RS232 Serial and Ck&Data). Full control of a bi-directional gate with reader at both incoming and outgoing. Integrated BLE Bluetooth reader for using smartphone as badge or BLEtags.